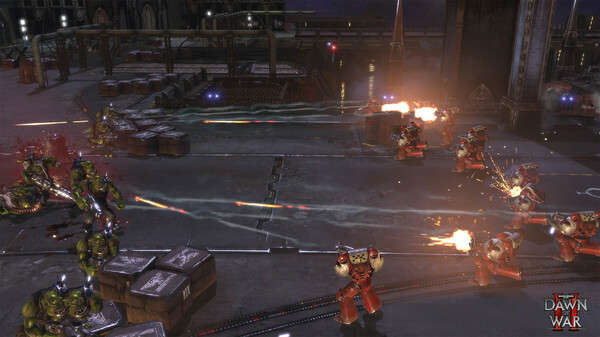 It also looks like Warhammer 40,000: Dawn of War II - Retribution will come to Linux too, again thanks to SteamDB. While I am not a massive fan of Warhammer I've actually seen this game be played by an old friend of mine, and it genuinely looked quite fun. I am also a sucker for real time strategy games, so it appeals to me! I wonder if it will be a outsourced port, or if it's in-house, but only time will tell. Something to remember though: Being on SteamDB doesn't mean it's confirmed, but it certainly looks like someone is working on them. Oh **** yes! I hope this is true. This would be awesome - I love the Dawn of War games. The only issue is I already own it. Really curious to see who is doing this port. Dawn of War II was solid. Haven't played retribution. Would be welcome news. PublicNuisance Dawn of War II was solid. Haven't played retribution. Would be welcome news. Retribution was my favorite of the DoW2 games. The campaign is not as strong as the previous games and much less personal, but it has to be because you're not forced to play as Space Marines you actually have a choice of which race/faction to play, so the story has to be a bit more vague for it to work with anyone. Obviously, I played the campaign as Orks because Orks are awesome and hilarious. It's worth it for the banter between the Orks alone. Magnificent. EDIT: I mistook the title to mean Dawn of War the original. I retract my statement. 40K original is far superior. I would like the original Dawn of War series too. That's of more interest to me personally, but I hope this does well enough to warrant such further investment, and I'm quite glad to see some kind of interest with it. There's also a new character coming soon to the Last Stand (Necron Lord), so I wonder if there's something to that timing? Likely not, but I have to feed the speculation. As a side note, a couple months back I did a run through of the Dawn of War II games under wine, using gallium9. I do not endorse this of course, but it's a good indicator that anyone doing a port should be able to make it run just fine.